Every day, nearly 300,000 UK businesses rely on IRIS payroll software to pay 2.5 million employees. We offer a range of software solutions to suit every type of small business. IRIS payroll software is HMRC recognised and is RTI Ready. Payroll bureau software from IRIS is designed specifically to meet the unique demands of managing multiple companies’ payrolls. 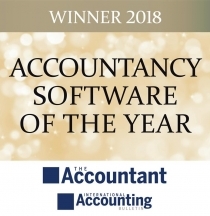 63% of all UK GP practices use IRIS software making us the number one provider of payroll and accounts software to GPs.